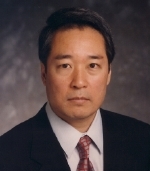 Robert Asahina is an author, consultant, and former publishing executive. He has been an editor at The New York Times, The New York Sun, Harper’s, George, GEO, and The Public Interest; deputy publisher and editor in chief of Broadway Books, president and publisher of the Adult Publishing Group of Golden Books, and vice president and senior editor of Simon & Schuster; a visiting scholar at New York University and a data management consultant at Freddie Mac. His articles have appeared in The New York Times Book Review, Harper’s, The New Leader, The Hudson Review, The Los Angeles Times Book Review, The Washington Post Book World, and other publications.